So you are looking for the spooky side of Halloween? Well look no farther then the spine-tingling tour of Michigan's best Haunted Houses. It runs a cold shiver down my spine just thinking about those dimly light corridors where you know something big and scary is about to jump at you with a howl, growl or mind-defining screech. One eery estate after another fill your weekends with all that goes bump in the night. Narrow down the selection by Michigan Region, Michigan County or even Michigan City. 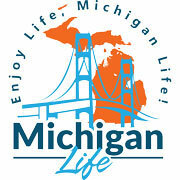 Enjoy Fall Life, Michigan Life!! The Forest of Fear is West Michigan's premier outdoor haunted attraction which has been frightening and entertaining thrill-seekers of all ages for over ten years! The Forest of Fear is located just south of Grand Rapids in Caledonia. The Forest of Fear is an interactive, self guided walk though five chilling acres of haunted woods and swamps. 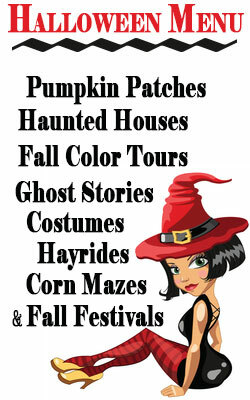 Read all about Michigan's most haunted areas with the book Haunted Travels of Michigan available online at Amazon.com.